Transplanting stem cells is in many cases the only therapeutic option for people suffering from life-threatening diseases. Sometimes, the matching preparation must travel huge distances to the patient after searching for it all over the world. The present case demonstrates clearly the effort and the international collaboration that is often necessary for the recipient to be provided with the donated stem cells in time. The background of this logistic tour de force is the case of an Australian boy born in 2013, who suffers from so-called leukodystrophy caused by the metabolic disorder sphingolipidosis. In March, the search for a suitable stem cell donation led to the second-largest stem cell bank in Europe, Vita 34 from Leipzig. 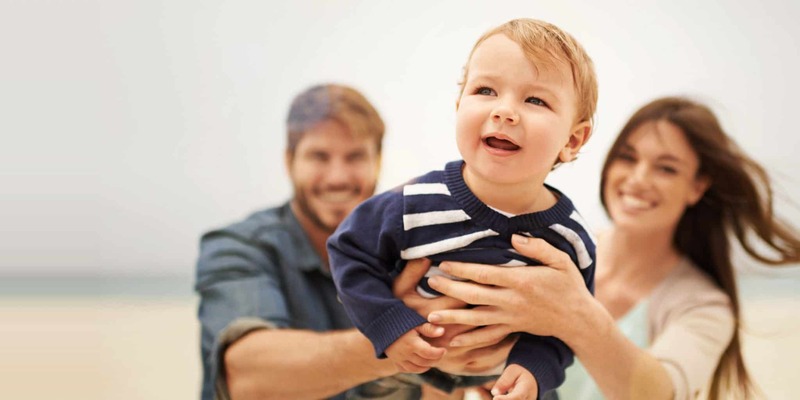 A few years ago, stem cell deposits from umbilical cord blood were set up for the Norddeutsche Knochenmark- und Stammzellspender-Register (NKR – North German bone marrow and stem cell donor registry). When one of these preparations was tested positively to match the Australian patient, its shipping to the other side of the world had to be organised within the shortest time possible. Besides NKR and Vita 34, the German National Bone Marrow Registry was involved in the process as well as the relevant registries and the transplant centre in Australia, customs authorities on both continents and not least Lufthansa to prevent the preparation from being X-rayed at the airports. That these global efforts were justified, showed the results of the confirmatory typing at the latest, an enhanced typing process carried out while the shipping was being prepared: The sample matches ten out of ten of the patient’s tissue characteristics and thus is like winning the lottery jackpot from a biological point of view. All the people involved in the project are now keeping their fingers crossed for the little patient. Vita 34 in Leipzig celebrates the 150000th stem cell storage and the 20th company anniversary with an international expert symposium on the application of stem cells in children. 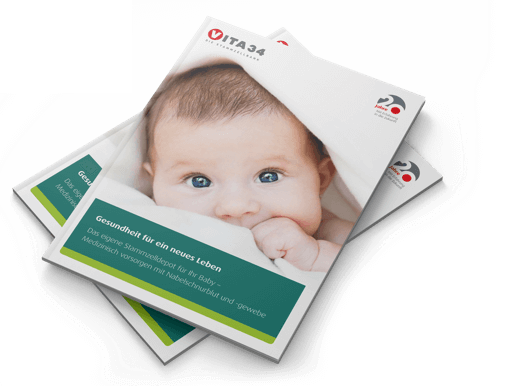 With 150,000 stem cell deposits from 29 countries in Europe and worldwide as well as 30 applications, Vita 34 is the largest and most experienced stem cell bank in the German-speaking countries. The European Patent Office has granted the stem cell bank Vita 34 the patent on the processing and cryo-preservation of umbilical cord tissue and the contained cells. It concerns a procedure of disinfecting, preparing, preserving, and isolating cells from umbilical cord tissue. The patent emphasizes the company’s leading position and is an impor-tant basis of future medicine. Stem cells from umbilical cord tissue will play an important role in the individual treatment of many cartilage and joint diseases, in growing new tissue for re-generative medicine and even in growing new functioning organs. Vita 34 AG, pioneer among the private cord blood banks in Europe and the largest stem cell bank in the German-speaking countries, presents its new online presence revised in design and content this week. The relaunch of the website www.vita34.de expresses the new significance of online communication to Vita 34 and makes the high quality standards of the company regarding content and technology visually perceivable to the public. Download the Vita 34 press kit. Please contact the press office by writing an e-mail to: presse@vita34.de, if you need other pictures. Pictures can be used at no extra fee for editorial purposes and naming Vita 34 as the source.